The Mofo Chronicles: Living the Single Life or Nawl? Living the Single Life or Nawl? Happy New Year Mofos!! To kick this year off --I have a guest blogger by the name of BeeVee joining me for this post. What's she talking about Meik? I'm glad you asked... y'all and this dayum new fangled dating ish. So let's hop into it shall we? 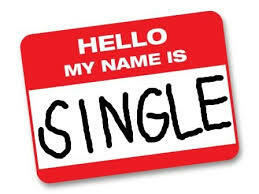 After 13 (not so) delightful years of marriage, I find myself single---at 40. And judging by how well it’s been going, I’m due to become a crazy cat lady any minute now. I would love to be dating someone. Someone smart and funny, warm and loving, someone who is curious about life and loves to try new things, who has friends, and who has, (I know, this is crazy talk) a job. But apparently, with such lofty criteria, I won’t be changing my relationship status any time soon. Why is that? Because dating is for masochists. In the last month on Plenty of Fish, there was the guy who said hello, then immediately asked me if I was on birth control. There was the one who wanted to dress in women’s clothing and asked me which he should choose: yoga pants, thigh highs, or fishnets. There was the guy whose profile picture was him giving the camera the finger, wife beater and knuckle tattoos at the ready. There was the one who messaged me, “Wanna f*ck,” without any preamble whatsoever, followed two minutes later by the one who simply wrote “I’m looking for something sexual right now.” Be still my heart. So when I met a man who wore a suit in his profile picture, who worked for the state, who asked me thoughtful questions like where was I from and what were my favorite foods, it was as if the clouds parted and the angels sang the Hallelujah chorus in three part harmony. For weeks I vetted him over text and the phone. No red flags. Seemed very promising. After hounding me to go out with him, I finally relented. We had had all the important conversations. He was single. 47. Never married. Had a long-time live-in girlfriend, but they’d broken up three years ago, and while he’d dated casually since then, he’d really like a relationship with the right person, and, oh by the way, he felt really good about me. I was feeling good about him, too. So we met at a local bar. He was delightful. Sparks flew. I started to feel optimistic. After Christmas, we met up again for dinner, and then went to his place to hang out in his hot tub. But we couldn’t get in the hot tub until after 7pm, because his ex “might stop by unexpectedly,” and “that would be awkward.” Then he casually mentioned, the ex still kept a car in his garage, and oh yeah, did he mention that she stopped over on Christmas Eve and spent the night on his couch (although he was quick to deny touching her)? Just as my brain started to mentally mouth the words What the Everloving F***? my eagle eyes spied women’s shoes in his closet, intermingled with his sneakers and Sebagos. Right. For three years, he’s tripped over his ex’s shoes in the dead smack center of his closet. They haven’t bothered him at all. He forgot they were there. Sure… And I’m Imelda Marcos. At this point, the red flags were coming at me so fast and furious that I feel like I was stuck in center field during the Cardinals’ color guard half time spectacular. On New Year’s Eve I confronted him. We were supposed to get together, and the last thing I wanted to do was see him again. He admitted that he hadn’t been completely honest with me. He saw the ex more than he initially let on. (No? Really?) You see, the ex and he broke up (uh huh…), but she was mentally unstable (I’m beginning to see why) and refused to accept the breakup (Oh, right! The breakup! That’s the part where you say “Don’t sleep at my house anymore! Take your car and your stuff and get out! I don’t want to ever see you again!” Right? Oh, wait…). I didn’t let him finish. I didn’t want to hear any more excuses. Guys, either you’re single or you’re not. Just so we’re all clear, if her shoes are in your closet, you’re not. So that potential relationship came to a screeching halt. But as disappointing as it was, I want to believe Mr. Right is just around the corner. Maybe he’s breaking up with his girlfriend as we speak. And if he’s not, I’m putting the local cat rescue on speed dial, just in case.